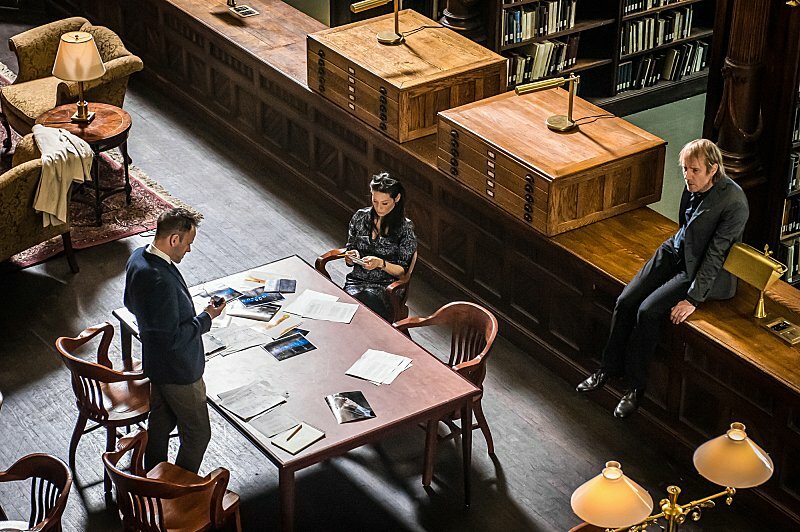 Elementary Season Finale Spoilers: "The Grand Experiment"
The second season of Elementary concludes on May 15 with an episode called “The Grand Experiment,” and CBS has released a lot of promotional images and a description for it. Here’s the write-up describing it, and the photos follow below. 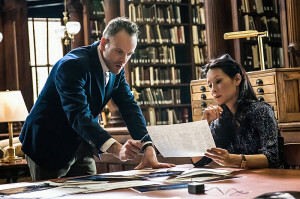 “The Grand Experiment” – Rising tension between Sherlock and Watson bring their partnership to a crossroads, but they endeavor to put their differences aside while they help Sherlock’s brother, Mycroft, who faces accusations of treason and murder, on the season finale of ELEMENTARY, Thursday, May 15 (10:01-11:00 PM, ET/PT) on the CBS Television Network. Rhys Ifans returns as Mycroft Holmes. Here are some new photos. Elementary has already been renewed for a third season, so don’t worry: Season 3 is coming in the future!